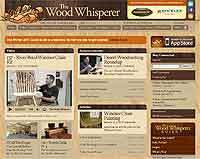 Below you can find a list of top woodworking video sites. Click on the links to open the page in a new window. If you want to recommend a woodworking site please send us details here. Woodworking Videos, Articles, View Projects and Shop Tours with Marc Spagnolo. PBS long running Woodwrites shop with Roy Underhill, showcasing hand tool skills, and interviews. Lots of episodes. 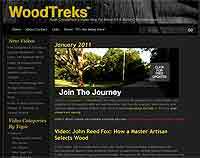 “Wood Treks” are video journeys for woodworkers, wood artists, and collectors of fine wood crafts, art, and furniture. The New Yankee Workshop on-line featuring Norm Abram.